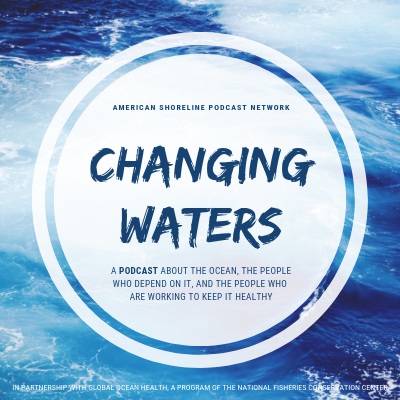 The hosts of the Changing Waters podcast are Brad Warren and Thane Tienson. Brad is a veteran journalist who spent decades covering fisheries and marine conservation, and now heads the National Fisheries Conservation Center (known as NFCC) and its Global Ocean Health Program. Thane is an attorney with deep experience in fisheries and maritime law and policy, and a founding board member of NFCC.